A screengrab from a militant website video Saturday, July 5, 2014, which has been authenticated based on its contents and other AP reporting, purports to show the leader of the Islamic State group, Abu Bakr al-Baghdadi, delivering a sermon at Iraq. What we’re facing in northern Iraq is only partly a crisis about Iraq. It is about the region and potentially the world as we know it. 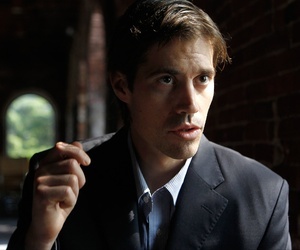 The brutal murder of the brave American journalist James Foley is meant to directly terrorize the world’s media, the international community, and the United States. If all the actions of the Islamic State, or IS, to date weren’t sufficiently reprehensible, this act and the potential for other similar acts will snap American attention with laser-like focus onto the real danger IS poses to the existence of Iraq, the order of the region and to the homelands of Europe and America. Make no mistake, the abomination of IS is a clear and present danger to the U.S. The only question really is whether the U.S. and its allies and partners will act decisively now while they can still shape events to destroy IS, an act that seems increasingly self-obvious. President Barack Obama, our commander-in-chief, was right to order airstrikes on IS elements in northern Iraq. 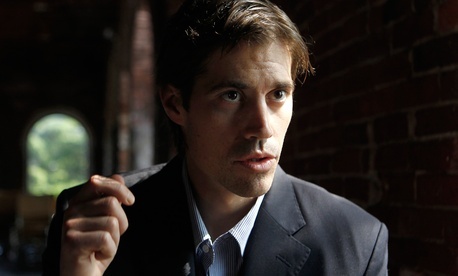 He was also right to order humanitarian relief for the Yazidis and other desperate Iraqi minority elements fleeing the onslaught of IS elements, but until the grisly death of James Foley much of the American public was only beginning to awaken to what IS is and the enormity of the threat it represents. The U.S. is now firmly in the game and remains the only nation on the planet capable of exerting the kind of strategic leadership, influence and strike capacity to deal with IS. It is also the only power capable of organizing a coalition’s reaction to this regional and international threat. As a general officer commanding at several levels in the region, I can say with certainty that what we’re facing in northern Iraq is only partly a crisis about Iraq. It is about the region and potentially the world as we know it. The Islamic State is executing a well-thought-out campaign design intended to dismantle both Syria and Iraq and install in their place an Islamic Caliphate. Though we’re keyed into it now, we missed it initially. IS is a well-organized entity, almost certainly supported by former Saddamist regime elements whose hand can be seen in the campaign design now unfolding. This group is not a flash in the pan that will go away of its own accord or if we don’t poke at it. It is not benign. IS is reinforced by Sunni tribal elements from Syria and Iraq, and most alarmingly, is aided by a witch’s brew of foreign fighters from Chechens to Uighurs to Pashtuns, but also including Europeans and Americans. The Caliphate’s Western recruits will be felt in the European and American homelands for years to come regardless of the fate IS and its cause. IS is quite well heeled. It is flush with recently captured American and Iraqi ordnance and armored vehicles, and awash with dollars lifted from Iraqi banks along its route of advance. It is demonstrating an alarming ability to absorb heavier and more complex military capabilities and put them to work against their erstwhile opponents. IS is able to demonstrate substantial battlefield innovation and agility — two qualities none of us can afford as IS continues its forward movement and attempts to consolidate. So how should we “see” IS and what is this terrorist group up to? Within its means, IS is waging total war on the region and its “unbelieving and apostate” populations. Just ask the Christians, Yazidis, Kurds, Shi’a and some Sunni populations who’ve been unlucky enough to be along the IS axis of advance. Before our very eyes, it is transitioning from being a non-state actor into a state-like entity. The leadership of the so-called Caliphate has been clear that it will focus on Western and American targets if given the chance to consolidate its holdings into the so-called Caliphate. It’s worth remembering the Taliban provided the perfect platform from which al-Qaeda attacked the U.S., and the Taliban were and remain as cavemen in comparison to IS. As well, al-Qaeda in the Arabian Peninsula, or AQAP, has attacked the U.S. at least twice, and they are a mere shadow of IS. Worse, the IS foot soldiers holding U.K., European, and American passports number in the hundreds. We need to prepare ourselves for what this will mean. Foley’s executioner spoke with a British accent. IS must be destroyed and we must move quickly to pressure its entire “nervous system,” break it up, and destroy its pieces. As I said, the president was absolutely right to strike IS, to send advisors to Iraq, to arm the Kurds, to relieve the suffering of the poor benighted people of the region, to seek to rebuild functional and non-sectarian Iraqi Security Forces and to call for profound change in the political equation and relationships in Baghdad. 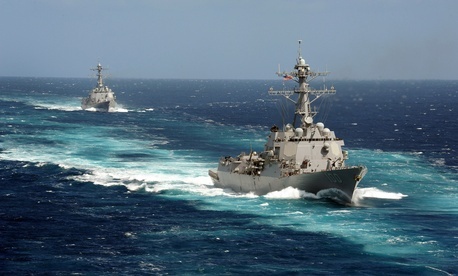 The whole questionable debate on American war weariness aside, the U.S. military is not war weary and is fully capable of attacking and reducing IS throughout the depth of its holdings, and we should do it now, but supported substantially by our traditional allies and partners, especially by those in the region who have the most to give – and the most to lose – if the Islamic State’s march continues. It’s their fight as much as ours, for the effects of IS terror will certainly spread in the region with IS seeking soft spots for exploitation. American and allied efforts must operate against IS from Mosul in the east across its entire depth to western Syria. In that regard, “sovereignty” in the context of its airspace and territory is not something we should grant President Bashar al-Assad’s regime in Syria. Syria is a failed state neither capable of acting as a sovereign entity nor deserving the respect of one. We cannot leave IS a safe haven anywhere or a secure support platform from which to regroup or enjoy sanctuary across the now-irrelevant frontier between Syria and Iraq. The tentative successes of the Kurds in rolling back IS from the Mosul Dam should offer a clear signal that this formula of employing indigenous forces coupled with American and allied firepower can be undertaken with effect. Accelerating the refurbishment of the Iraqi security force through a focused advise and assist program can open fronts against IS to the north along the Tigris and west into Anbar Province and along the Euphrates River. To that end, Iraq and Syria’s Sunni tribes and the Free Syrian Resistance can also play a central role in dismantling IS. 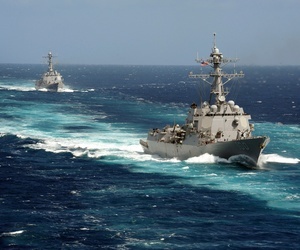 Many of the tribes are fighting now and many others, ready to fight IS, are begging for U.S. and international support. Their advisory and military support should be a high priority. 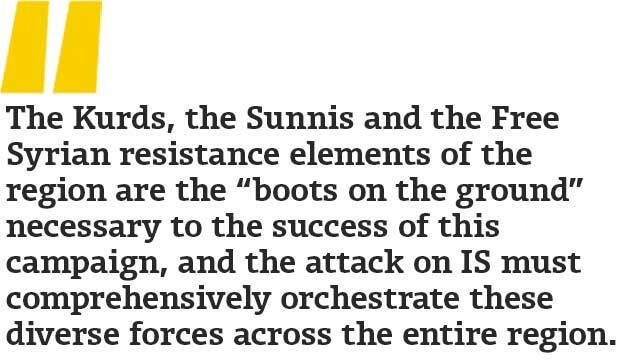 The Kurds, the Sunnis and the Free Syrian resistance elements of the region are the “boots on the ground” necessary to the success of this campaign, and the attack on IS must comprehensively orchestrate these diverse forces across the entire region. We’ve done this before, but we must view this crisis regionally and cannot fall victim to segmented thinking, approaches and policies that leave any potential allies out of the game or give IS any safe havens or maneuver space. Bottom line: The president deserves great credit in attacking IS. It was the gravest of decisions for him. But a comprehensive American and international response now — NOW — is vital to the destruction of this threat. The execution of James Foley is an act we should not forgive nor should we forget, it embodies and brings home to us all what this group represents. The Islamic State is an entity beyond the pale of humanity and it must be eradicated. If we delay now, we will pay later. John R. Allen, a retired Marine Corps general, led Marines in Anbar Province and was commander of the International Security Assistance Force in Afghanistan. He is a distinguished fellow of foreign policy at the Brookings Institution.